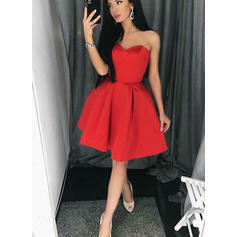 I just got this dress yesterday for my homecoming and it is soooooo beautiful!!!!!!!! I love it and I am so excited! The only differance between the picture and rhe actual dress is it is not as tight which is more than okat with me being a bigger girl! this dress is even more beautiful in person and the color Pool is amazing. I received it way earlier than I thought I would have it and I am very pleased. It came in a good condition. The dress fits me just right. I love the beautiful ruffles and the fabric. You really did a wonderful job! Thanks! 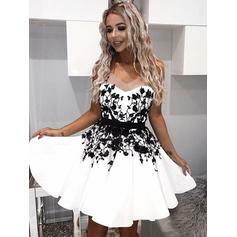 This dress was ordered last minute for my granddaughters homecoming. The measured size was spot on and the quality of the dress for this price was amazing!